Poly(ethylene phosphonate) was synthesized via the living ring-opening polymerization of cyclic phosphonate monomer catalyzed by organocatalyst. The pendant vinyl functionalities were employed to perform the photochemical click reactions with thiols. We demonstrated that both small thiol molecules and macromolecular thiols could be efficiently coupled into the PPE side chains, enabling the rapid and efficient functionalization of polyphosphoesters( PPE). 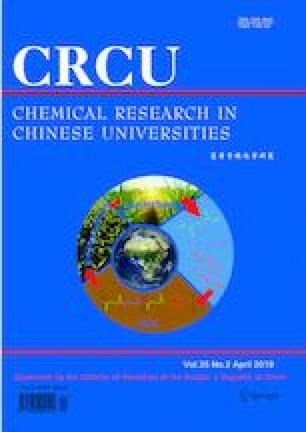 Supported by the Fund of the CAS Key Laboratory of High-performance Synthetic Rubber and Its Composite Materials, Changchun Institute of Applied Chemistry, Chinese Academy of Sciences(No.KLSR1602) and the Fund of the Department of Science and Technology of Jilin Province, China(No.20180101170JC).